At Serenity Sleep Solutions, we offer Oral Appliance therapy for patients who have been diagnosed with sleep apnea and/or snoring. If you suffer from loud snoring, mild to moderate sleep apnea or have tried and failed with CPAP therapy, we can present you with more options. With our complimentary consultation, Serenity Sleep Solutions can help you find a solution. 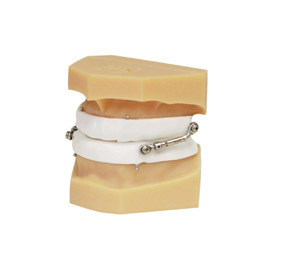 Oral Appliance Therapy, also known as Mandibular Advancement Devices (MAD), are custom made mouthpieces made by a dentist. While a doctor will be the medical healthcare professional that provides you with a diagnosis of sleep apnea, it can be your dentist that will provide you with the treatment solution. Oral appliances are custom fabricated for you. 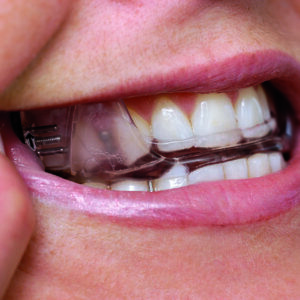 These appliances that resemble a mouth guard or retainers are worn at night and work by shifting the lower mandible forward. By doing so, they prevent the collapse of the airway during sleep, which in turn, prevents the cycle of loud snoring and breathing pauses that are symptomatic of obstructive sleep apnea. 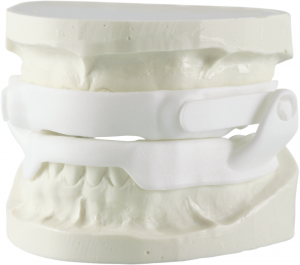 Oral appliance therapy is an incredibly effective treatment solution for loud snoring, mild to moderate sleep apnea and some cases of severe obstructive sleep apnea or for those that can not tolerate a CPAP.